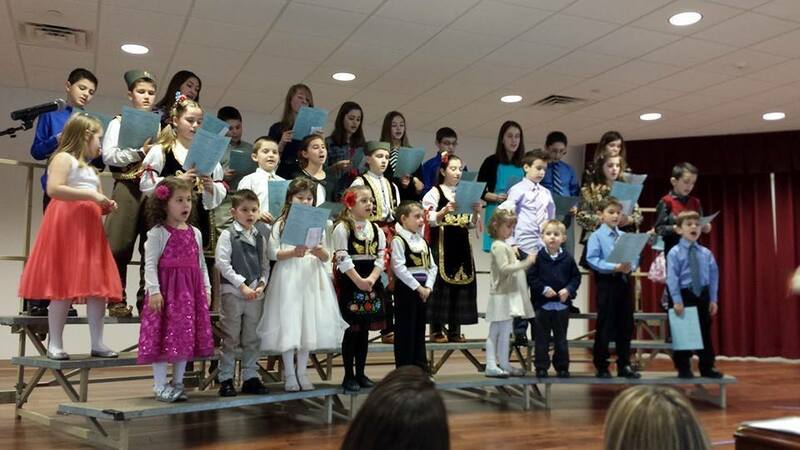 The Children’s Choir at St. Sava will be playing festival host under the direction of Ivana Stankovich. The festival titled “The Crown of Tones” will feature children singing a variety of songs that celebrate the rich Serbian cultural heritage. This special event will take place in the new Pavilion at St. Sava, 9191 Mississippi Street, Merrillville, IN 46410. Youth choirs from churches around the midwest will share their talents including St. Sava Serbian Church, Merrillville, IN; St. George Serbian Church, Schererville, IN; St. George Serbian Church, Joliet, IL; and St. Sava Serbian Church, Milwaukee, WI. A youth orchestra from New Gračanica, Third Lake, IL will also be performing. Additional youth choirs are working on confirming participation so check back for updates. More details will appear in the coming weeks. Please follow the St. Sava Merrillville, Indiana Facebook Page, “The Crown of Tones” Facebook Event, and the www.saintsava.net website for more.